Engine Serviced and Maintained by Local Marine Engineer and recently serviced in 2018. All 6 batteries changed in 2018 and Electrics also checked over in 2017. Genoa and Storm Gib Unused and Mizzen Staysail has had very little use. Deadlights fitted to windows, Hatches complete with blinds & Mosquito / sun screens. Admiralty & Imray charts and Pilot Books covering UK to Southern Spain included. This Oyster Mariner 35 is a lovely example of this popular Blue Water Cruising Yacht and she was launched for the first time in 1991 (although the hull was constructed in 1980). 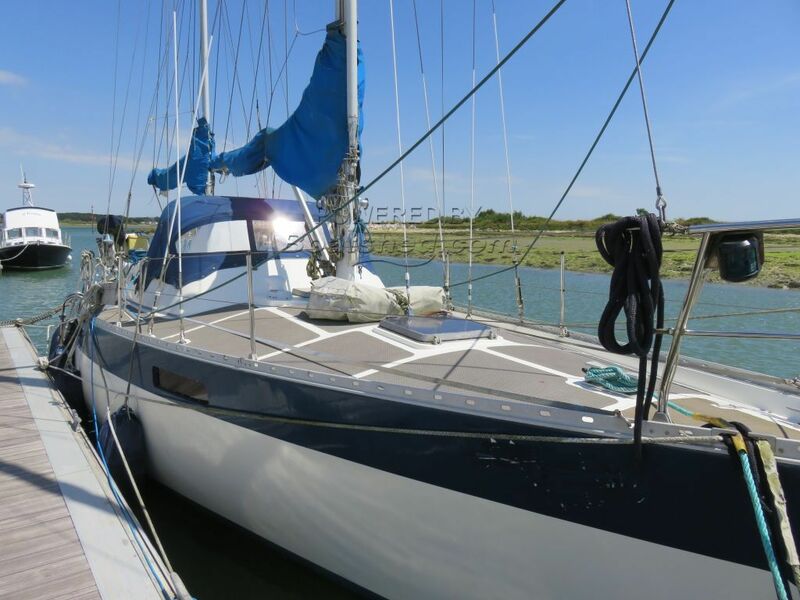 She is very well equipped and the current owners have sailed her extensively throughout Europe and returned her to the UK in 2014, where unfortunately due to the owner's illness she has had little use. All batteries were replaced in 2018, engine was serviced in 2018, all sails are serviceable and the Genoa and Mizzen staysail are unused. She is also due a new coat of antifouling in April 2019.
if you are looking for a Blue Water Cruising Yacht which is well constructed, spacious and to a high spec, this yacht should be on your shortlist. This Oyster Mariner 35 has been personally photographed and viewed by Bruce Mowatt / David mowatt of Boatshed Hayling Island. Click here for contact details. Please note this comments section is public. Please do not post your personal details here. To enquire about purchasing this boat, please contact the broker directly at davidmowatt@boatshedhaylingisland.com. Please read our commenting guidelines before posting.